CBD, cannabidiol, is taking the wellness scene by storm, and for good reason. Many anecdotal and evidence-based theories have demonstrated the therapeutic value of CBD when used properly. Industrial hemp has been removed as a Schedule 1 drug, which includes CBD, with the passage of The Farm Bill. That is great news because our bodies have an endocannabinoid system. The endocannabinoid system is supported by powerful anti-inflammatory and neuroprotective properties found in the cannabis plant. CBD is non-psychoactive, meaning it does not give the feeling of intoxication or ‘being high’. However, CBD still offers many other therapeutic health benefits. 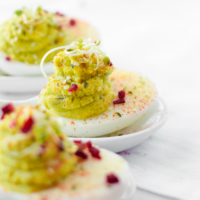 You may have heard of ‘edibles’ before. Edibles are a way of consuming CBD or other forms of cannabis in food. As the marketplace continues to grow, we continue to see CBD and cannabis put into just about every food possible. Just check out my CBD Infused Pumpkin Spice Latte. Are CBD Gummies Good For You? For many people, the thought of cannabis edibles conjures up stereotypical images. Just imagine a friend accidentally eating too much of a ‘special brownie’ and subsequently freaking out or passing out. Thankfully with the rapid legalization of marijuana, talk of CBD or THC edibles has become much more diverse. CBD, or cannabidiol, is the non-psychoactive cannabinoid found in cannabis. The Cannabis plant has two distinct varieties, the hemp plant, and the marijuana plant. Industrial hemp plants are high in the health-promoting cannabinoid CBD, and low in the psychoactive component THC. CBD extracted from industrial hemp became federally legal in December of 2018 with the passage of The Farm Bill. That is why you are likely seeing CBD products everywhere these days. One of the most common products found on the traditional or black market are CBD or THC infused gummies. 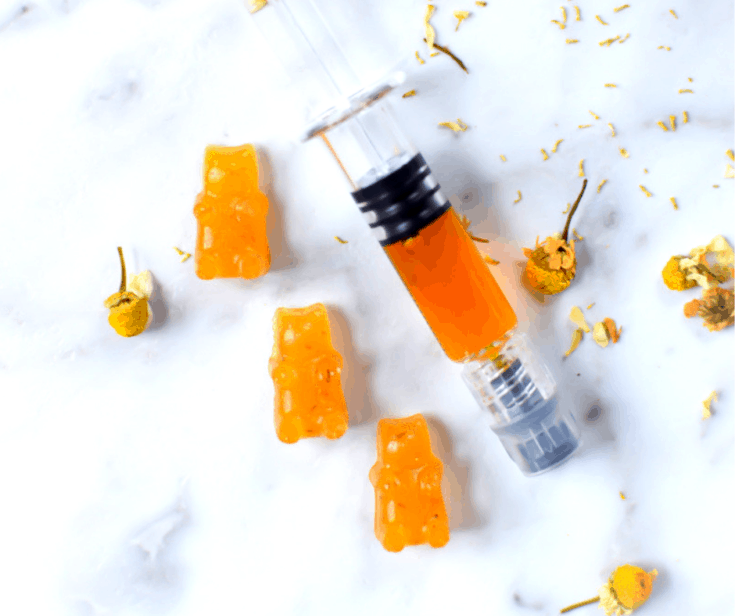 In this post, you will learn about the health benefits, the potential risks associated with store-bought CBD gummies, and how to make your own gummies at home. For the purpose of this post, we will only be talking about CBD, not THC, as recreational marijuana use is not currently legal here in New York. 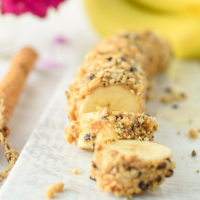 As a Holistic Cannabis Practitioner and dietitian nutritionist, my clients come to me looking for ways to improve their health through the creation of a holistic lifestyle. Currently, CBD is the hot new trend to try. 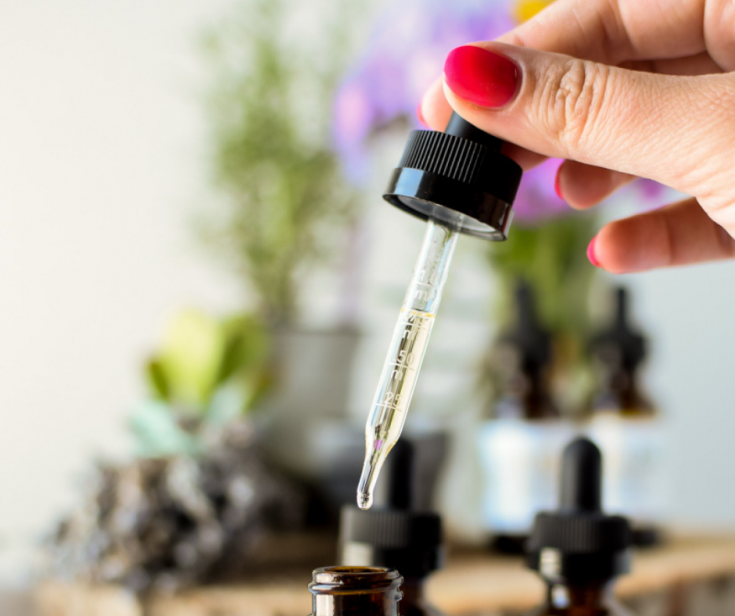 A properly designed CBD regimen is an excellent addition to any holistic lifestyle, however, finding the perfect CBD regimen can be tricky. For the cannabis-naive user, CBD gummies can be a great place to start. CBD gummies are gummies that have been infused with CBD. CBD gummies are typically consumed for recreational, medical, social, or meaningful health and wellness purposes. These candies can be made with CBD Hemp Oil, CBD concentrate, or CBD isolate. To learn more about the differences between these types of CBD products, click here. Consuming CBD orally has a different, less potent, effect on the body than if CBD were applied topically or sublingually. The average bioavailability rate of orally consumed CBD is approximately 6%. CBD undergoes the extensive first-pass metabolism and is slow to work in the body. Given that the bioavailability of orally consumed CBD is only 6%, it may be necessary to take higher doses, or to increase the serving size, to observe any noticeable effects. It is important to pair orally ingested CBD with a properly designed CBD regimen that includes various methods of delivery. Purchasing CBD Gummies from a retailer is currently illegal. 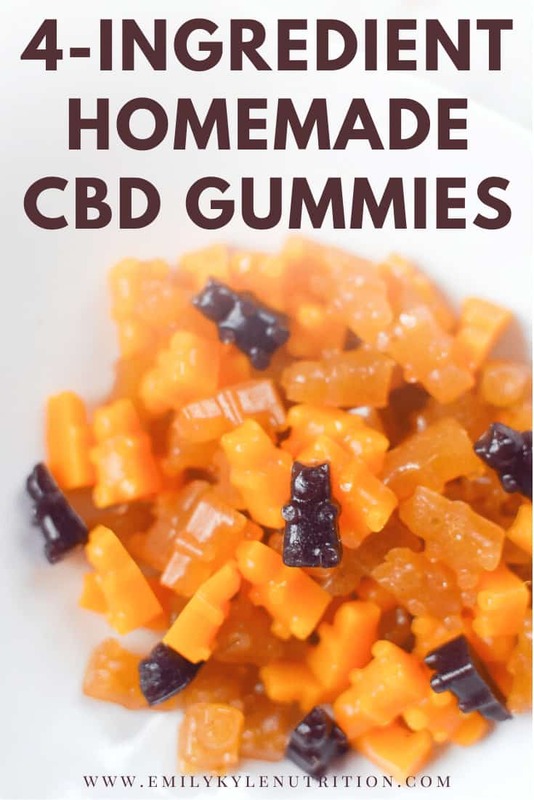 Using CBD and making your own CBD Gummies at home is not illegal. The 2018 Farm Bill removed hemp from the Controlled Substances Act. This means that it is no longer a controlled substance under federal law. It is legal to consume CBD, but the use of CBD Oil in food and food products is illegal. On April 2nd, 2019 FDA Commissioner Scott Gottlieb, M.D. issued a formal statement on the FDA’s new steps to advance agency’s continued evaluation of potential regulatory pathways for cannabis-containing and cannabis-derived products. 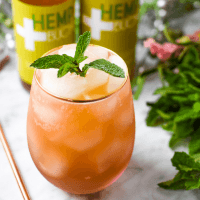 “The FDA requires a cannabis product (hemp-derived or otherwise) that’s marketed with a claim of therapeutic benefit to be approved by the FDA for its intended use before it may be introduced into interstate commerce. Additionally, it is unlawful to introduce food containing added CBD, or the psychoactive compound THC, into interstate commerce, or to market CBD or THC products as dietary supplements. This is because CBD and THC are active ingredients in FDA-approved drug products and were the subject of substantial clinical investigations before they were marketed as food. In such situations, with certain exceptions that are not applicable here, the only path that the FD&C Act allows for such substances to be added to foods or marketed as dietary supplements is if the FDA first issues a regulation, through notice-and-comment rulemaking, allowing such use” (1). “Additionally, we’re interested in how the incentives for, and the feasibility of, drug development with CBD and other cannabis-derived compounds would be affected if the commercial availability of products with these compounds, such as foods and dietary supplements, were to become significantly more widespread” (1). Gummy bears were invented by a German factory worker in the 1920s. Over time, they have grown to become one of America’s favorite candies. As stated by Bon Appetit, gummy bears “surely have one of the most devoted followings of any candy in history” (2). While CBD itself has been studied for its many therapeutic properties, remember that you will be only feeling about 6% of the potential effects due to the bioavailability rate of orally ingested CBD. That is why I recommend CBD Gummies to be added to a curated CBD regimen for optimal health. CBD when taken sublingually or buccally through a tincture, vaporized, or even used topically has a much higher bioavailability rate and will produce more of the typical anecdotal effects reported by consumers. Does Eating CBD Gummies Get You High? No, eating CBD Gummies will not get you high (if CBD hemp oil is the only cannabis extract being used). However, there is always the potential for cross-contamination or improper labeling if you are purchasing a premade product from a retailer. With that being said, whole-plant CBD hemp oil does contain less than 0.3% THC. This means that you will be ingesting small amounts of THC when consumed. While it is likely not enough to induce psychoactive effects, it may be enough to create a positive result on a drug test. For those individuals who need to ensure that no THC is consumed, it is recommended to use a broad spectrum CBD hemp oil or concentrate. Broad spectrum means that THC and other plant metabolites have been removed. Learn more about full spectrum hemp oil vs. broad spectrum hemp oil, click here. In 2018, a questionnaire was used to assess reasons for CBD use by self-described users. Of the 2,409 people surveyed, it was found that chronic pain, arthritis, and joint pain were the most common reasons for CBD use. “Results: Almost 62% of CBD users reported using CBD to treat a medical condition. The top three medical conditions were pain, anxiety, and depression. Almost 36% of respondents reported that CBD treats their medical condition(s) “very well by itself,” while only 4.3% reported “not very well.” One out of every three users reported a nonserious adverse effect” (3). While there are many evidence-based and anecdotal reports to confirm that CBD can reduce the instance of pain in the human body, it is again important to keep in mind that the bioavailability of CBD when consumed orally is only 6%. This means that you may need to consume high doses of CBD within CBD gummies, or enjoy CBD gummies as an adjunct to a more formal CBD regimen that includes other ingestion routes. Unfortunately, the answer to this question is not cut and dry and not the same for everyone. Plus, confidentiality is important, and legally I need to protect both myself and the client when giving out specific recommendations. A CBD dosage recommendation should be made on a case-by-case basis for each individual. There are different concentrations of CBD oil and different situations for which it would be appropriate to be used. Thus different dosages are required for different individuals. That is why I hold personal classes for helping my patients determine their perfect CBD Dose. As one of my clients, we are both protected through HIPPA laws, you can rest easy knowing your information is confidential and stored in a secure place, and you will be able to contact me through a private messaging service to have your personal questions answered. Can You Get CBD Gummies For Sale? The answer is yes, you can get CBD gummies for sale. But the more important question is – are they safe? And is it legal? Along with brownies, gummies and gummy bears seem to be one of the most popular edible choices on the market these days, especially for first time consumers. Unfortunately, I have noticed that most of the CBD or hemp infused products on the marketplace are filled with ingredients that don’t exactly support good health, like high fructose corn syrup, artificial food dyes, artificial sugar and tons of unnecessary added sugar. As a Holistic Cannabis Practitioner and a Registered Dietitian Nutritionist, I can’t help but ask myself: what is the point of taking these CBD edibles if they are made with ingredients that don’t support good health? Ingredients: Industrial hemp cannabidiol (CBD), melatonin, corn syrup, white grape juice from concentrate, gelatin, citric acid, sorbitol, natural and artificial flavors, carnauba wax, artificial colors (red 40, yellow 5, yellow 6, blue 1). Manufactured in a facility that produces, processes and packages products that may contain nuts, eggs, soy, dairy, wheat, and gluten. 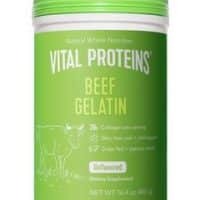 Ingredients: Whole fruits and vegetables, filtered water, pasture-raised grass-fed bovine hide gelatin powder, and high-quality cannabidiol (CBD) oil with an optional sweetener of choice. Luckily, after weeks and weeks of testing, I have locked down a Homemade Edible CBD Infused Gummy recipe that I am really happy with. 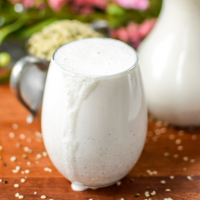 This recipe tastes amazing, it can easily be customized, and all of the ingredients have a health-promoting property. Each fruit puree contains real fruits and real vegetables which give the gummies a vibrant color, a delicious taste, vitamins, minerals, antioxidants, and even dietary fiber – without anything artificial. Use the exact same molds. Do not use different shapes as the different sizes will yield different amounts of CBD concentration. Set your intention first. Do you want to eat the entire batch while watching Netflix on the couch, or do you want to take two a day along with your daily multivitamin?? These delicious Peach Chamomile Homemade CBD Gummies are made with whole food ingredients, contain no dyes are artificial flavors​ and can be naturally infused with CBD extract for a relaxing experience. In a small food processor, or using an immersion blender, puree together the peaches and chamomile buds. Measure out 1/2 cup in a small bowl & set aside. In a small sauce pan add the filtered water and sprinkle the gelatin over the liquid. Allow to stand for 2 minutes. After 2 minutes, stir well and turn the heat to medium-low. (The mixture will be thick at this point). Consistently stir the mixture over medium-low heat until it has become liquified and reached a temperature of 165 degrees. Carefully pour the hot liquid into the bowl of peach puree. Stir well. Stir in desired amount of CBD, if using. Stir well. Fill your desired mold with the mixture. Remember to count how many total gummies you have made, as this will help you determine how much CBD is in each gummy. Refrigerate for 30 minutes. Remove from refrigerator and pop gummies out of mold. Store in an airtight container for up to 7 days. *Peaches can be fresh, canned, or frozen and thawed. Peel first if desired. *To make your own basic version to customize, use: 1/2 cup fruit or vegetable puree, 1/2 cup filtered water and 8 teaspoons gelatin. *If you are deviating from the above recipe, it is important to avoid the following fruits when making gelatin: pineapple, kiwi, mango, ginger root, papaya, figs or guava. Learn more here. Make It Easier Tip: While having a dedicated Gummy Bear mold may be cute and helpful, it is not necessary. You can make this recipe in just about any container that you have and cut it to the desired shape and size once the mixture is set.